A walker was rescued from a Lake District fell after injuring himself in a fall. The Cambridgeshire man, in his 50s, was descending Sourmilk Gill above Buttermere on Tuesday when he suffered a tumbling fall of between 20 and 30ft. 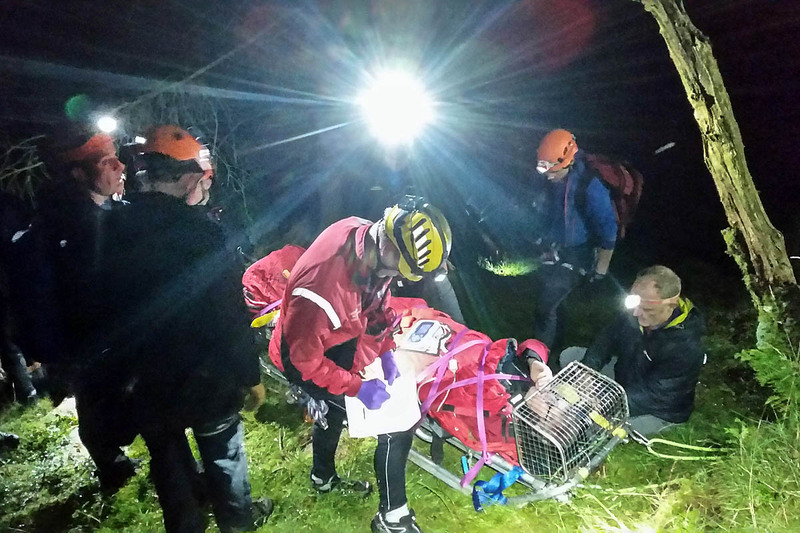 Cockermouth Mountain Rescue Team was called out about 8pm after the man was reported to be suffering head and leg injuries, with the team leaving its base within 15 minutes of being alerted by police. A team spokesperson said: “An informant had raised the alarm by telephoning from The Fish Hotel, Buttermere. The team met the informant at The Fish and he guided members to the approximate location. “The casualty’s son had remained with him on the fell and helpfully, his flashing torch could be seen from the valley bottom. “On reaching the casualty, the team attended to his injuries, a lower leg torn muscle along with superficial head wounds from his fall. The rescue involved 22 volunteers from Cockermouth MRT.